Be the first to hear about their new releases and deals. Download the Booksprout app and search for L S Slayford, today! 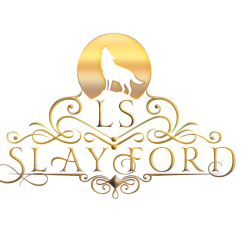 L S Slayford, born February 1984, is a British paranormal and romance author, best known for her Silver Moon novels. Her Silver Moon series centres around Luna, a woman who has been sent away to France as a young child for her own protection. Returning to America after her parents have been killed in an apparent car crash, she discovers there is much more to her family – and the world - than she can imagine. Wrapped up in a world of werewolves, Fae, vampires and ancient prophecies, Luna discovers who she really is. L S Slayford grew up in Woking, Surrey in the southeast of England, well aware that she was the odd one out in her family. Bullied for years as a young child, she turned to reading and writing and even today, with the most stressful and painful events of her life, both have given her a way of dealing with what comes at her. A mother of three young children, she is learning Mandarin, Cantonese and Korean with them and possesses a degree in Archaeology, specialising in Religious Archaeology. Since she was 18, she has lived in America and China, but currently residing in Surrey while she waits to relocate to Hong Kong. Her favourite authors include Christopher Pike, Laurel K Hamilton, Sherrilyn Kenyon and Jaymin Eve.